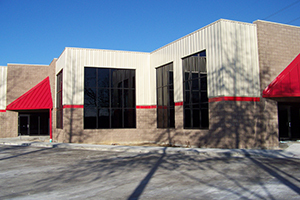 GW Contractors Inc is the premier metal building contractor in Northwest Ohio. We have been in business since 1975 and have recently moved to a new location on State Route 53. We specialize in Steel buildings for commercial, agricultural, industrial, and residential use. GW is located in a brand new location on North State Route 53, Fremont, Ohio, 43420. We are located 10 minutes from downtown Fremont and about 15 minutes from Port Clinton. A company that has over 35 years of experience to get it done right. Since 1975 we have consistently delivered exceptional quality and value to our customers. GW Contractors Inc. is big enough to handle any job yet small enough to still care. Safety and 100% Customer satisfaction is our first priority. Call us today to receive a free no hassle and no obligation quote on your steel building needs. GW Contractors Inc. Servicing Northern Ohio and Southern Michigan since 1975.
termites and other destructive insects. Metal buildings can save you money. How? Construction with conventional building materials is more labor-intensive and time-consuming, which drives up costs. Metal buildings are conveniently prefabricated the components arrive on your site ready to be put together. Then our experience crew erect the building quickly and efficiently, which means you economize. You never sacrifice flexibility when you use choose a metal building: they are versatile and can serve many purposes. They can even be designed to suit a clients unique specifications. By filling out our online form we can get an idea of your project and give you an estimate of what your project may cost and give you an idea of when we would be available to complete your project if contracted.